The LTTE and 15 other entities suspected of being Tiger fronts were proscribed by the Sri Lankan Government led by President Mahinda Rajapaksa last week. “This order is based on the recommendation by the Secretary, Ministry of Defence and Urban Development, as the Competent Authority regarding the identification of persons, groups and entities, believed on reasonable grounds to be committing, attempting to commit, facilitating or participating, in the commission of acts of terrorism. "Visuvanathan Ruthirakumaran, the self-styled Prime Minister of the Transnational Government of Tamil Eelam, is a lawyer based in New York. 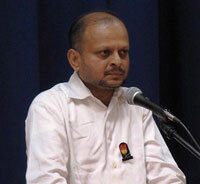 He is Rasah Visuvanathan, the son of former Jaffna Mayor from the Tamil United Liberation Front (TULF)"
“The substantial effect of an order under this Regulation is that all funds, assets and economic resources belonging to or owned by the designated persons or entities remain frozen until they are removed from the designated list. What appears interesting about the proscription is the Sri Lankan Government against which a US-sponsored resolution was passed by the UN Human Rights Council on March 27, 2014 has now banned several organisations functioning abroad as “foreign terrorist entities” utilising the UN Security Council Resolution 1373 which was introduced by the US on September 28, 2001 after the attack on the New York Trade Centre Towers on September 11, 2001. The banned entities listed are as follows: the Liberation Tigers of Tamil Eelam; the Tamil Rehabilitation Organisation; the Tamil Coordinating Committee; the British Tamil Forum; the World Tamil Movement; the Canadian Tamil Congress; the Australian Tamil Congress; the Global Tamil Forum; the National Council of Canadian Tamils; the Tamil National Council; the Tamil Youth Organisation; the World Tamil Coordinating Committee; the Transnational Government of Tamil Eelam; the Tamil Eelam People’s Assembly; the World Tamil Relief Fund and the Headquarters Group. While some of the outlawed organisations are reportedly functioning in a single country alone, there are others with branches in different countries. These countries include the US, Canada, Britain, Norway, Italy, Switzerland, France and Australia. "Due mainly to the leadership and direction provided by Fr. Emmanuel the GTF achieved a great deal of recognition and influence among many Western nations. In what was perhaps a remarkable achievement, the GTF has enlisted the services of Joan Ryan, former British Labour Party parliamentarian for Enfield North"
Among the notable proscribed organisations are the Transnational Government of Tamil Eelam headed by Visuvanathan Ruthirakumaran, the Global Tamil Forum headed by Catholic Priest Fr. S.J. Emmanuel, the LTTE group and affiliated outfits led by Perinbanayagam Sivaparan alias Nediyavan and the Tiger group (Headquarters group) led by Sekarampillai Vinayagamoorthy alias Vinayagam. Sri Lankan security circles believe that the listed entities could be classified into four broad categories that are either controlled or influenced greatly by four persons namely Ruthirakumaran, Fr. Emmanuel, Nediyavan and Vinayakam. 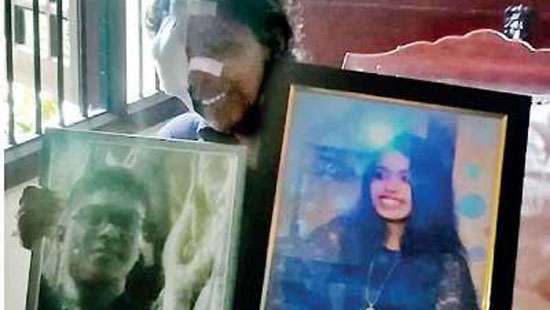 These four key personalities are perceived by Sri Lankan authorities as the four most formidable foes from the Global Tamil Diaspora. Although the Government has opted to lump all four groups together as “terrorist entities” there are crucial differences between the organisations led by Ruthirakumaran and Fr. Emmanuel on the one hand and the outfits led by Nediayavan and Vinayakam on the other. There are major differences among the four key personalities and also between the organisations they lead. "While some of the outlawed organisations are reportedly functioning in a single country alone, there are others with branches in different countries"
Both the Transnational Government of Tamil Eelam (TGTE) led by Ruthirakumaran and the Global Tamil Forum (GTF) led by Rev. Fr. S.J. Emmanuel -- despite the alleged relationship to the LTTE -- functions openly in various parts of the world. The activities being carried out by the TGTE and the GTF are generally visible and transparent and even subscribe to a modicum of accountability in certain respects. The LTTE factions under Nediyavan and Vinayagam are basically shady outfits often working clandestinely beneath a facade of fronts. Visuvanathan Ruthirakumaran, the self-styled Prime Minister of the Transnational Government of Tamil Eelam, is a lawyer based in New York. 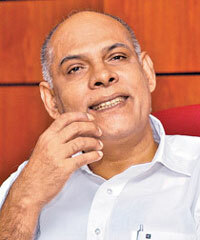 He is Rasah Visuvanathan, the son of former Jaffna Mayor from the Tamil United Liberation Front (TULF). The TGTE Premier was born in Jaffna on July 6, 1957. An old boy of Jaffna Central College, Ruthirakumaran entered the Sri Lanka Law College and passed out as an attorney-at-law. He later obtained a masters degree in law from a Texas university. Ruthirakumaran also entered Harvard University for doctoral studies. Ruthirakumaran generally referred to as Rudra served earlier as the International legal adviser to the LTTE. He participated in the Oslo-facilitated talks between the Sri Lankan Govt. and the LTTE as a resource person for the Tiger delegation. As a result of this LTTE “connection”, Ruthirakumaran is viewed through a terrorist prism and is persona non grata in European Union countries and Canada. It is indeed amusingly ironic to perceive a “Transnational” premier being unable to cross transnational borders. "Many young, unmarried female tiger supporters who visited the Wanni during the peace process found themselves unable to resist the “five flower arrows” of “Manmathan” or cupid when they interacted with young Tamil male Tiger militants"
After the LTTE was militarily defeated in May 2009 sections of the Global Tamil Diaspora got together and formed what was described as a transnational government. The TGTE held public conventions in cities like Philadelphia, New York and London. It has a transparent administrative structure consisting of an elected 135 member assembly, Speaker, Deputy Speaker, Prime Minister, three Deputy Premiers, seven Cabinet Ministers and 10 Deputy Ministers. A second chamber of representatives has also been formed. The foundation for the TGTE was initially laid by Selvarasah Pathmanathan alias KP who succeeded Velupillai Prabhakaran as LTTE Chief after the demise of the Tiger supremo. KP however was bitterly opposed by the Nediyavan-led faction. Subsequently KP himself was captured in Malaysia and taken to Sri Lanka. Thereafter Rudra functioned independently and established the TGTE. After its first election Ruthirakumaran was elected Prime minister. Besides issuing statements and media releases the TGTE has done virtually nothing substantial for the cause. However the TGTE has been under heavy pressure from the Nediyavan-controlled faction which portrayed the TGTE as being directed by KP. Subsequently there was a major split in the TGTE and a faction loyal to Nediyavan revolted and formed a separate body. The first election of the TGTE aroused considerable interest within the Diaspora with several candidates contesting and even spending large sums of money for electioneering. When the second TGTE election was held there was little excitement. Most representatives were elected without any contest. Rudra once again became the Prime Minister of the TGTE. He is yet to issue the customary TGTE media statement on the proscription. The Global Tamil Forum (GTF) is an umbrella network led by Rev. Dr. S.J. Emmanuel. Born in 1934, Fr. Emmanuel hails from Temple Road in Jaffna. Fr. Emmanuel did not enter priesthood in the early years of his life. He first obtained a BSc degree in Physical science in 1958 and worked as a teacher and journalist. He became a Catholic clergyman in the 1960s. Fr. Emmanuel obtained two masters degrees in Philosophy and Theology from the Pontifical Urbaniana University in Rome. He was regarded as being of bishop material for the Catholic Dioceses of Jaffna or Mannar but was not chosen for either. Thomas Soundaranayagam and Joseph Rayappu were ordained as Bishops of Jaffna and Mannar respectively on two different occasions. Fr. 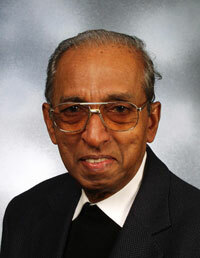 Emmanuel served as Vicar General of the Diocese of Jaffna and Rector of St Francis Xavier Major Seminary in Jaffna. He has also been the adviser to the Asian Bishops Conference for eight years and was the founder Director of the Centre for Better Society in Jaffna. "At one time, the GTF credibility was so high that even India softened its stance towards the organisation"
SJ Emmanuel left Sri Lanka after the Army re-captured Jaffna in 1995/96. In 1996 he addressed an International Conference on the Conflict in Sri Lanka at Canberra in Australia and spoke eloquently and movingly about the tragic plight of the Tamils in 1995 while being displaced from Jaffna in a historic “exodus” during “Operation Riviresa”. Subsequently this address was expanded into a book titled “Let My People Go” and distributed worldwide. Fr. Emmanuel struck a responsive chord when he concluded his Canberra address by stating, “I am standing here as a man of God in service to a suffering mankind. I have hope in the goodness of God and of men. From amid the deafening sounds of thousands of bombs and shells falling on our soil and consuming sacred lives, I cry out with Moses of old, “Let my people go from this slavery to freedom”. Many years later when the Tamil people were undergoing terrible hardship and suffering in the Wanni at the height of the war and many concerned persons including this columnist were imploring the LTTE to “Let our people go” this “man of God” then living in Europe did not utter a single word asking Prabhakaran to ‘let my people go’. Fr. Emmanuel relocated to Germany in 1996 but travelled about widely in the West interacting with several Tamil organisations. He set up the Global Tamil Forum in 2009 after the fall of the LTTE. The GTF functioning openly to a reasonable extent comprised fourteen different organisations at the time it was formed. Originally the livewire of the GTF was the British Tamil Forum (BTF). Thanks to the efforts of the BTF, the GTF was able to set up a secretariat in London. Recently there has been a split between the GTF and BTF after which the BTF functions separately. Some other GTF constituents are also functioning independently now. Due mainly to the leadership and direction provided by Fr. Emmanuel the GTF achieved a great deal of recognition and influence among many Western nations. In what was perhaps a remarkable achievement, the GTF has enlisted the services of Joan Ryan, former British Labour Party parliamentarian for Enfield North. She oversees the secretariat in London and holds the post of Policy adviser to the GTF. The GTF both directly and through its constituent members has engaged in dialogue with government ministers, legislators, high level administrators and media personnel of several Western nations. The GTF claims that it is trying to help exert international pressure on the Colombo Government to evolve an acceptable political solution while cooperating with international efforts to hold the Rajapaksa regime accountable for alleged war crimes in Sri Lanka. Fr. Emmanuel and the accredited GTF spokesman Suren Surendiran met Robert O’Blake in Washington when he was US Assistant Secretary of State for South Asia and had photos published in the media. The GTF maintains a very cordial relationship with the Tamil National Alliance (TNA) in Sri Lanka and has been associated together in discussions with South African leaders and representatives. Both the TNA and GTF have been engaged in lobbying at the UN in Geneva. The GTA met British Prime Minister David Cameron six times prior to his trip to Sri Lanka last year for the CHOGM summit. The GTA was largely instrumental in making Cameron adopt a hostile stance towards Colombo. At one time, the GTF credibility was so high that even India softened its stance towards the organisation. Suren Surendiran was granted a 15 minute audience with Sonia Gandhi, the “de facto PM” of India at a reception in London. This was seen as the harbinger of change in the relationship between New Delhi and the Tamil Diaspora. Fr. Emmanuel was granted a multiple entry visa to India and he went to India and held a series of meetings there. Some of these meetings in Tamil Nadu with pro-LTTE elements aroused the suspicion and wrath of Indian authorities. When Emmanuel went to India the second time he was not permitted to enter Tamil Nadu via the Meenambakkam Airport in Chennai. He was compelled to turn back and since then has not been to India. Apparently New Delhi sees the GTF as a tiger cloaked in a cowhide. The third and arguably the most important of the four key personalities regarded as formidable foes by the Sri Lankan defence establishment is Nediyavan or Nediyon. His network is somewhat different to the TGTE and GTF in the sense that it primarily consists of one-time LTTE branches and front organisations. With the LTTE being proscribed as a foreign terrorist organisation in most western nations many of the identified Tiger branches became dormant or transformed themselves into new entities. New fronts were also established. In a bid to counter the country-based chapters of Rudrakumaran’s TGTE the Nediyavan group also established a network of “elected” organisations in different countries among the Tamil Diaspora. These organisations were called either “Makkal’ Peravai” or “Thesiyap Peravai” (Peoples or National Assemblies/councils) in each country. While these functionaries try to project themselves as democratic political activists at one level many of them at other levels are involved in shady activity. This is because these outfits are fundamentally LTTE branches pretending to be legitimate political formations. Thus the Nediyavan network despite its pretensions to the contrary is not transparent or accountable when compared to the TGTE or GTF. Its democratic credentials leave much to be desired. Many of Nediyavan’s followers are not committed to non-violence. Moreover the Nediyavan network is shrouded in ambiguity with many activists having shady, controversial pasts. A few of the key office-bearers in different countries are members or ex-members of the LTTE and have had weapons training as well as battlefield experience. 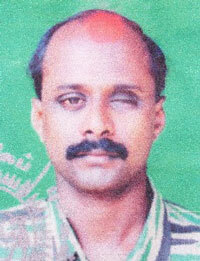 The 38-year-old Perinpanayagam Sivaparan is from Sangarathai, Vaddukkoddai in Valigamam West, Jaffna. He bears the nom de guerre “Nediyavan” meaning Tall man. Nediyavan had joined the LTTE in 1994 when he was 18. He was sent to Russia for higher studies by the LTTE and studied political science but apparently Sivaparan did not complete his degree in Moscow. Interestingly the financial arrangements for Nediyavan’s studies in Russia were handled by KP who took a personal interest in the youngster. KP who was in charge of overseas administration, fund raising and procurement before 2002 got someone in France to send money regularly to Nediyavan. Ironically the very same Nediyavan turned against KP later. Nediyavan functioned in the LTTE’s political wing and accompanied SP Thamilselvan at some of the peace talks during 2002-2003. He was later transferred to the overseas LTTE administration section under Veeragathy Manivannan alias Castro. Nediyavan was in charge of Castro’s public relations unit and interacted with several overseas functionaries visiting the Wanni during the peace process. It was then that Sivaparan alias Nediyavan met his future wife Sivagowri Shanthamohan. She was a Norwegian citizen. Her father’s brother was Gnanendramohan alias Ranjan Lala. Gnanendramohan was one of the pioneering members of the LTTE and a trusted confidant of Prabhakaran. Ranjan Lala was shot in Jaffna by the Army when riding a motor cycle. Many young, unmarried female tiger supporters who visited the Wanni during the peace process found themselves unable to resist the “five flower arrows” of “Manmathan” or cupid when they interacted with young Tamil male Tiger militants. Sivaparan and Sivagowri fell in Love. Prabhakaran who had been very fond of Ranjan Lala supported the union. After their marriage, Sivaparan went to Norway in 2006. The LTTE had been sending a number of operatives abroad over the years. These cadres belonged to different departments of the LTTE and began functioning as Tiger operatives in these new countries. Most of these cadres were from the political and intelligence wings. Nediyavan took up residence in Norway. The matrimonial alliance with Sivagowri had strengthened Nediyavan’s clout within the LTTE. Castro used him to communicate with overseas operatives. Contact between the Wanni and Tigers abroad was under strain as the war escalated. So Castro appointed an international representative on his behalf. This person was to be in overall charge of the LTTE overseas branches. This was none other than Nediyavan. Selvarasa Pathmanathan alias KP who at one time was in charge of overseas LTTE branches re-joined the LTTE and was appointed head of international relations in January 2009. KP with Prabhakaran’s approval used this position to re-establish control of the overseas LTTE. This was resented by Castro. With Castro’s authority Nediyavan spearheaded resistance to KP taking over as global Tiger chief. This resistance continued even after the LTTE leadership was destroyed in May 2009. While KP donned the leadership mantle on account of his seniority, Nediyavan and his loyalists opposed it. 1994 saw Vinayagamoorthy alias Vinayagam being promoted as Lieutenant and transferred to Vavuniya as intelligence leader for the Vavuniya district. Later he was promoted as Captain, assigned fresh duties and sent to the greater Colombo region. He was reportedly stationed in the Negombo area. During his stint in Negombo-Colombo, Vinayagam’s primary “achievement” was apparently the role he played in laying the groundwork for the LTTE assault on the Katunayake International Airport on July 12, 2001. After the successful accomplishment of this task, Vinayagam was recalled to the Wanni and rewarded with promotion as Major. After the Oslo-facilitated ceasefire in 2002 the LTTE intelligence division created a special unit to oversee matters concerning operatives working outside the Wanni in various parts of Sri Lanka as well as those functioning abroad, outside Sri Lanka. The special intelligence unit was called “External-Internal Intelligence Affairs”. Vinayagamoorthy was made the head of this special unit in 2002. At one point he travelled to India under a false passport and stayed for a while there setting up a support network. He also accompanied the LTTE delegation going to Europe for “peace talks” under a false passport and travelled through many European countries engaging with the Diaspora quietly. War erupted again and the Army began advancing gradually. The fall of Kilinochchi on January 2 2009 sent alarm bells ringing within LTTE circles. The LTTE began resorting to desperate measures to stave off impending defeat. One such move was the deployment of a team from the black Tiger suicide squad to the South to indulge in mayhem and destruction. The team was led by none other than Vinayagamoorthy now promoted as Lt. Colonel. Vinayagam simply could not deliver as expected. The whole exercise turned into a damp squib. The failure was in another sense a blessing in disguise for Vinayagam who continued to stay outside the Wanni when the Armed forces were closing in on LTTE positions. Thus Vinayagam did not perish like other LTTE senior leaders in the Mullivaaikkaal debacle. In fact he made his way to India shortly before the LTTE defeat. Thereafter Vinayagam left India for a South East Asian country. From there he flew to London on a false passport with the help of relatives in Britain. This was in October/November 2009. After a brief sojourn in Britain, Vinayagam crossed over to the Continental mainland and sought political asylum in Paris. He reportedly shuttles between France and Germany now. "Currently the Sri Lankan Government has listed both the GTF and TGTE as foreign terrorist entities along with the Nediyavan and Vinayagam groups of the LTTE. Lumping all four together may prove problematic in the days to come"
Once in Europe Vinayagam wove the various Tiger intelligence operatives abroad into a closely knit unit and remained in sole charge of that. For a brief period of time there was a working relationship between Nediyavan and Vinayagam with both entering into a strategic partnership. This however did not last long and soon both were at loggerheads with each other. Nediyavan was unwilling to relinquish his power while Vinayagam wanted to acquire power. At the heart of this power struggle was money. Both factions claim to be the “real” LTTE and issued conflicting statements in Tamil on important occasions. The statements by the Nediyavan group are released by the LTTE office calling itself the “Anaithulaga Seyalagam” (International Secretariat/office). The Vinayagam faction issues statements through its office known as “Thalaimai Seyalagam” (Chief Secretariat/Headquarters). Both factions competed with each other to conduct “Maaveerar Naal” (great Heroes Day) events in European cities. Meanwhile Sri Lankan authorities requested Norway to hand over Nediyavan to them. Oslo did not oblige but Norwegian officials interviewed Nediyavan and warned him that he should not engage in or promote violence while living on Norwegian soil. Thereafter Nediyavan relocated to a place about 150 miles away from Oslo. He maintains a low profile and is generally inaccessible. However it is believed that he continues to communicate verbally with key deputies through trusted couriers. Until recently his most trusted deputies were Irumporai, Anbuchelvan and Nanthagopan. Sri Lankan officials suspect the revival of the LTTE attempted by Ponniah Selvanayagam Kajeeban alias Gobi a.k.a. Kaasiyan is directly related to the Nediyavan group. Vinayagam, a resident of Paris has also adopted a low profile in recent times. The faction led by him is also overtly inactive. One reason for Vinayagam’s perceived inactivity is the INTERPOL notice issued on him by Sri Lanka. Another more important reason was the assassination of the LTTE chief in Paris Nadarajah Matheenthiran alias Parithy a.k.a. Regan. The Vinayagam faction was suspected because Parithy belonged to the Nediyavan group. Vinayagam himself was detained, interrogated and subsequently released. It is after this that Vinayagam has become relatively quiet. 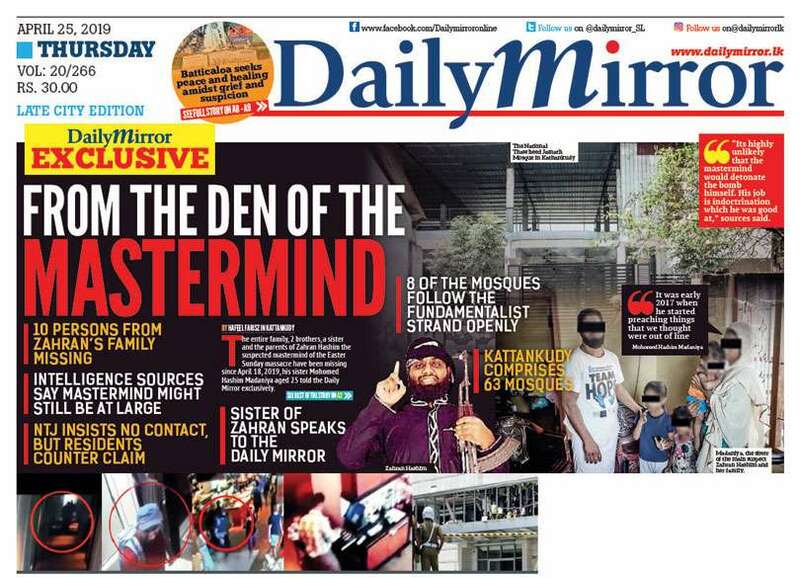 "The latest move of the authorities has been to proscribe as foreign terrorist organisations, a number of networks embedded within the Tamil Diaspora. Many of them are indeed terrorist LTTE-affiliated and deserve to be proscribed." Currently the Sri Lankan Government has listed both the GTF and TGTE as foreign terrorist entities along with the Nediyavan and Vinayagam groups of the LTTE. Lumping all four together may prove problematic in the days to come. Both the TGTE and GTF may be pro-LTTE and separatist though the GTF (reminiscent of the LTTE) says it is ready for a federal arrangement but it is a moot point as to whether these leanings by themselves are sufficient to be construed as terrorist or committing terrorism. 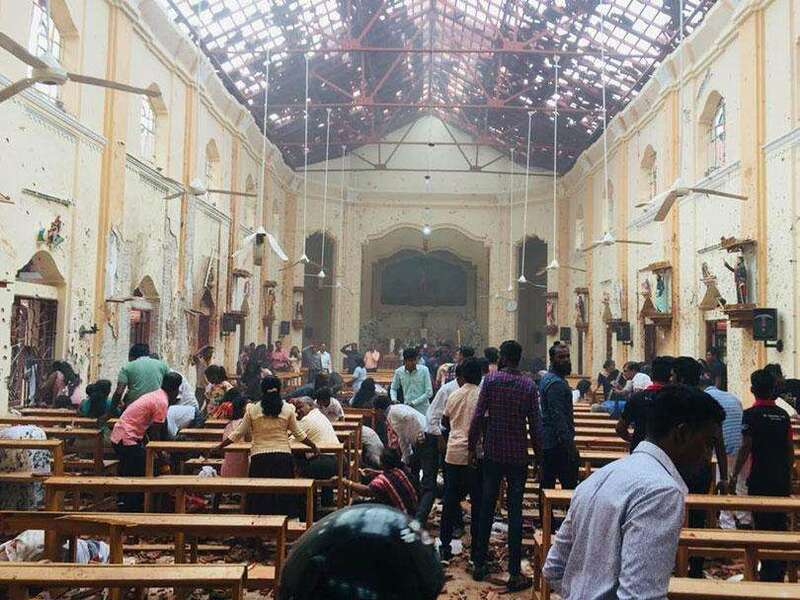 Sri Lankan authorities will have to furnish credible evidence if they want host nations such as the USA, Britain, Australia or Canada to take anti-terrorist action against the TGTE, GTF and some other country-based community organisations. Charges of terrorism will definitely be denied vehemently by the organisations concerned. A case in point for instance is the situation concerning the Australian Tamil Congress (ATC) which too has been listed as a terrorist entity. According to a news report from the Australia based SBS, Sri Lanka’s High Commissioner to Australia Thisara Samarasinghe, when asked had refused to say why the ATC was banned but insisted that there was credible evidence to justify the move. “I’m not here to share my information with you, that is important. And certain action which we have shared with relevant authorities is there to justify that Sri Lankan government has enough credible evidence to suggest that,” he told SBS Australia. The High Commissioner who was formerly the Navy Commander in Sri Lanka had said it’s up to the Australian government as to what action it might now take against members of the listed groups in Australia. But when SBS questioned Sam Pari, spokesperson from the Australian Tamil Congress, she angrily denied that it was a terror group. “These allegations that have been brought against us by the Sri Lankan Government are false and they are very serious acts of discrediting the Australian Tamil Congress, which has maintained a very good reputation among the mainstream Australian public. We have a very good reputation and good relationship with Australian politicians and the Australian media and Australian policy makers,” she said. The suavely articulate Dr. Sam Pari (whose full name is Sambhavi Parimalanathan) believes that the Sri Lankan Government’s action was in response to the resolution adopted by the UN Human Rights Council in Geneva. “The Australian Tamil Congress believes that this is a knee-jerk reaction by the Sri Lankan Government in response to the successfully adopted United Nations Human Rights Council resolution on Sri Lanka on March 27,” Sam Pari said and added that the Congress was respected internationally. The stance adopted by Thisara Samarasinghe that any organisation acknowledging separatism or does not reject separatism in Sri Lanka is supporting terrorist ideology does not seem a valid argument. There are anti-secessionism and anti-terrorism laws in Sri Lanka. The sixth amendment to the constitution is anti-secessionist while the Prevention of Terrorism Act (PTA) is anti-terrorist. A secessionist can be a terrorist only if he or she engages in acts described as terrorist in pursuance of separatism. The LTTE was for both a separate state and an armed struggle. What was an armed struggle to the LTTE was terrorism to the Sri Lankan state.” One man’s terrorist is another man’s freedom fighter” goes the well-known saying. Advocating secessionism without engaging in violence regarded as terrorism does not make the advocates concerned terrorists. The TULF for instance contested on the platform of Tamil Eelam and entered Parliament in 1977. They were regarded as secessionists but not terrorists as the TULF followed the path of non-violent struggle. However after the anti-Tamil pogrom of July 1983 the Government of Junius Richard Jayewardene passed the sixth Constitutional Amendment which required MP’s to take an oath disavowing separatism. The sixteen TULF parliamentarians forfeited their seats by refusing to take that oath. Against this backdrop High Commissioner Samarasinghe telling SBS, “Any organisation that acknowledges separatism or do not reject separatism in Sri Lanka is supporting terrorist ideology,” does not carry much weight. If the envoy were to argue thus in an Australian tribunal without providing credible proof of terrorist involvement by those designated as terrorists, he would be laughed out of court and Sri Lanka would be the laughing stock Down Under. “The latest move of the authorities has been to proscribe as foreign terrorist organisations, a number of networks embedded within the Tamil Diaspora. Many of them are indeed terrorist LTTE-affiliated and deserve to be proscribed. The others are diaphanously veiled secessionists -- the GTF Charter calls for a “self-governing Tamil Eelam” as distinct from an autonomous Northern Province or North-East region”. “However, not every secessionist is a terrorist and unless the state can credibly show a link between the GTF, BTF and the LTTE or an offshoot bent on violence, the former can be proscribed under anti-secessionist legislation but not as foreign terrorist organisations. To brand non-terrorist secessionists as terrorists risks an erosion of legitimacy internationally which lets real terrorists get away” (crying “Tiger, Tiger” has the same result as crying “wolf, wolf”). Anyone can assert a title. I could safely claim the title of "King of Sri Lanka", but no one would recognize it. Its the same with these so called LTTE rumps left in the West, they assert titles only important to themselves such as Ruthirakumaran, the self-styled Prime Minister of the Transnational Government of Tamil Eelam. Where the heck is Tamil Eelam? Its a flat in New York. They will never achieve anything with the attitude that they all have. Its left to the majority living in S/L the Sinhalese, Muslims and Tamils who will decide what the want. Not these characters living in the West. Their influence in S/L is nil. No one wants to go back to conflict or divide this small island.